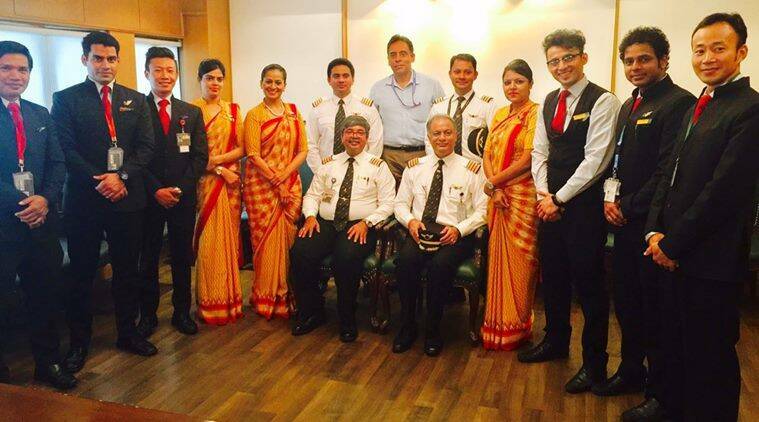 Good evening ladies & gentlemen, this is your captain speaking from the Jai Hind flight deck! 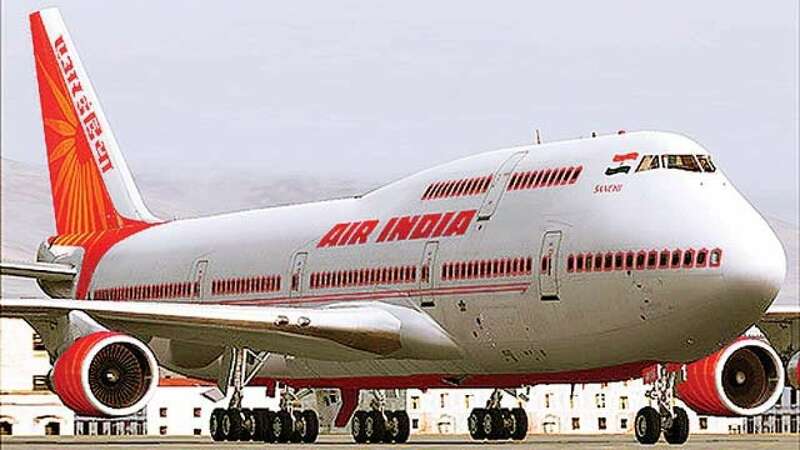 We are now cruising at an altitude of 35,000 feet, Jai Hind! We expect some turbulence on the way so please keep your seat belts fastened when seated, Jai Hind! Our crew will be serving our specially prepared & packed Jai Hind dinner soon! Our 'sanskaari' crew will be checking your choice of drinks after serving you our 'shuddh shakahaari' (strictly vegetarian) dinner, by asking you to indicate whether you prefer tea, coffee or gaumutra (cow piss), Jai Hind. During the meal service, please keep your seats in the Jai Hind position. After the meal service, if, as usual, you are making a beeline for the toilet, keep shouting Jai Hind at regular intervals till the person inside comes out, says 'Jai Hind' and starts making his way back to his or her seat. If, at any time, you want our Jai Hind cabin crew to attend to you urgently, stand up and say loudly 'Hola, Bharat Mata ki Jai". All call buttons have been deactivated and hence don't work any longer! Once again, Jai Hind to you all from the flight deck!